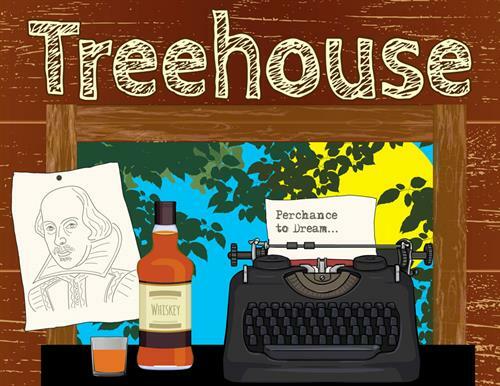 ?Cottage Theatre is very proud to stage the world premiere production of Treehouse, which is presented under the auspices of the American Association of Community Theatre’s 2018 NewPlayFest. Johnny and his pals would be typical 17-year-old boys, hanging out in Johnny’s treehouse and dreaming of talking to the beautiful Alana, were it not for Johnny insisting he is a 53-year-old man trapped in a teenage body. Johnny’s mom is a little worried. Out-of-the-blue her son is suddenly pulling straight A’s, keeping his room immaculate, and reading Shakespeare. As Johnny persists in his claim, and conversations in the treehouse become increasingly peppered by the words of the Bard, Johnny grapples with adolescence, love, and the mind's ability to heal from great loss. Through his budding friendship with Alana, Johnny discovers the life-affirming power of the eternal summer that shall not fade. At times poignant, at times humorous, Treehouse is a compelling drama that bridges the gap between adolescence and adulthood in beautifully unexpected ways.